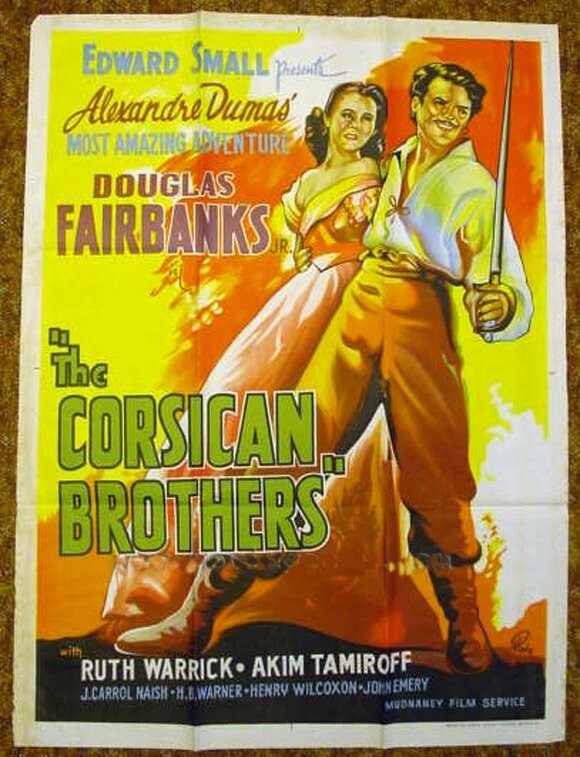 The Corsican Brothers is a 1941 swashbuckler film starring Douglas Fairbanks, Jr. in a dual role as the title Siamese twins, separated at birth and raised in completely different circumstances. Both thirst for revenge against the man who killed their parents, both fall in love with the same woman, the former played by Akim Tamiroff, the latter by Ruth Warrick. The story is based on the story of the same name by Alexandre Dumas père.